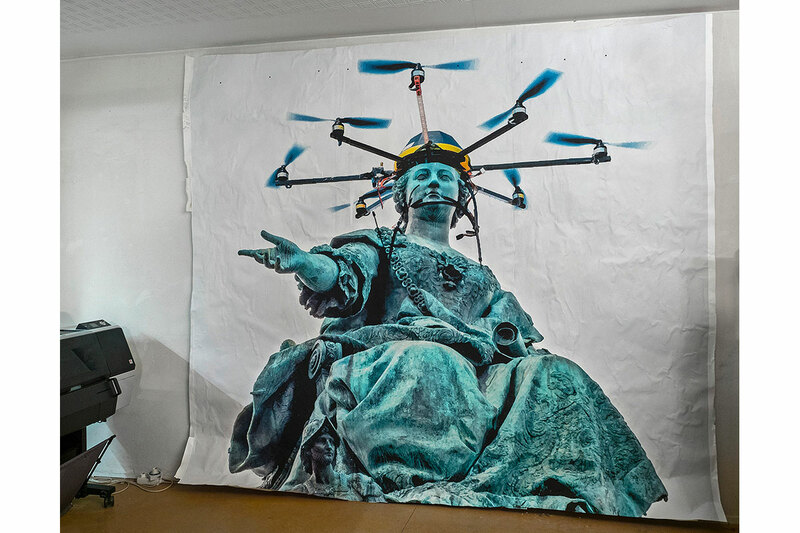 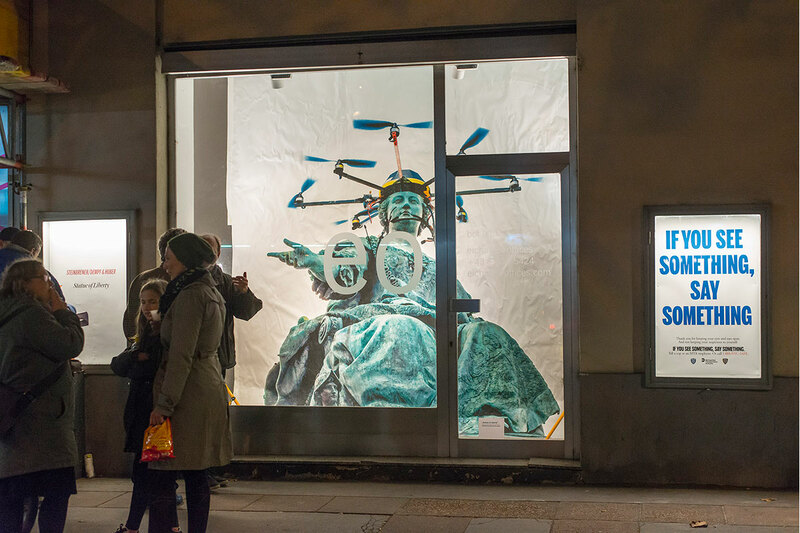 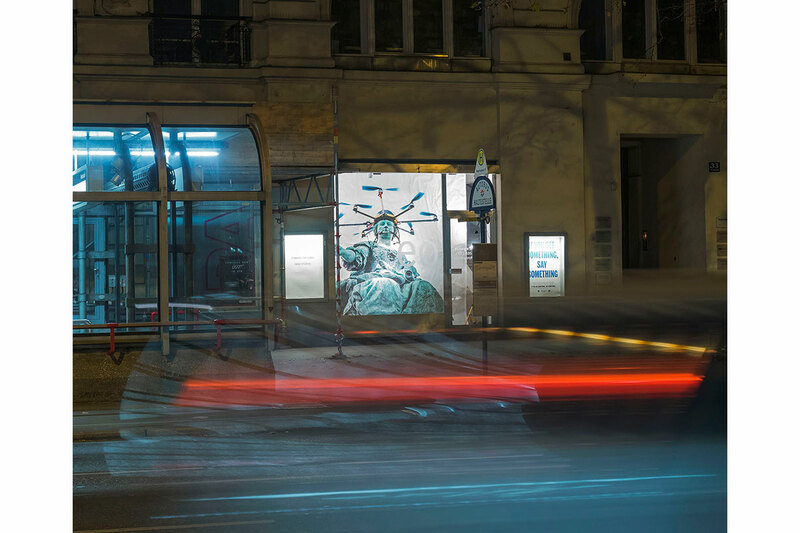 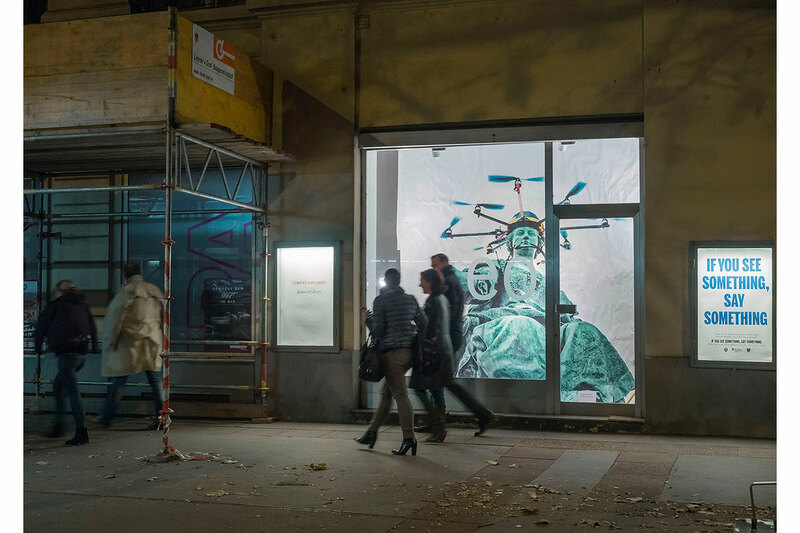 The Maria Theresa monument in Vienna was to be temporarily “crowned” with a huge drone. 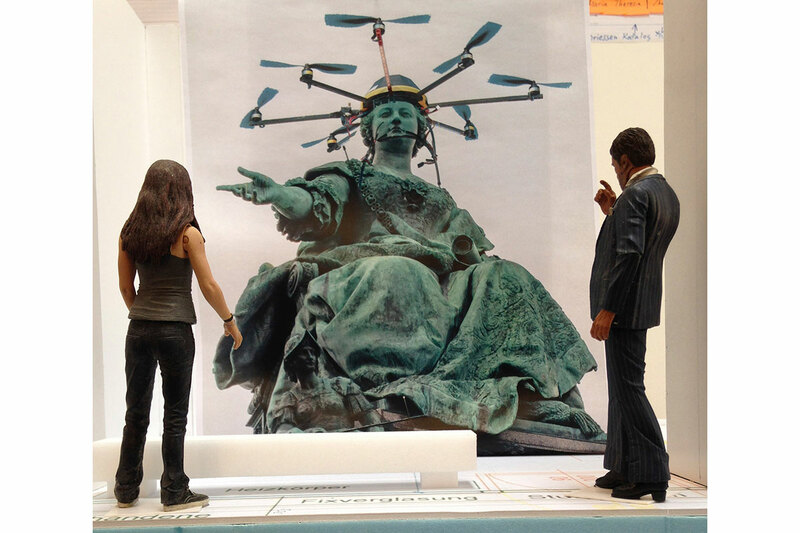 This suggestion was rejected by the Federal Historic Buildings and Monuments Office. 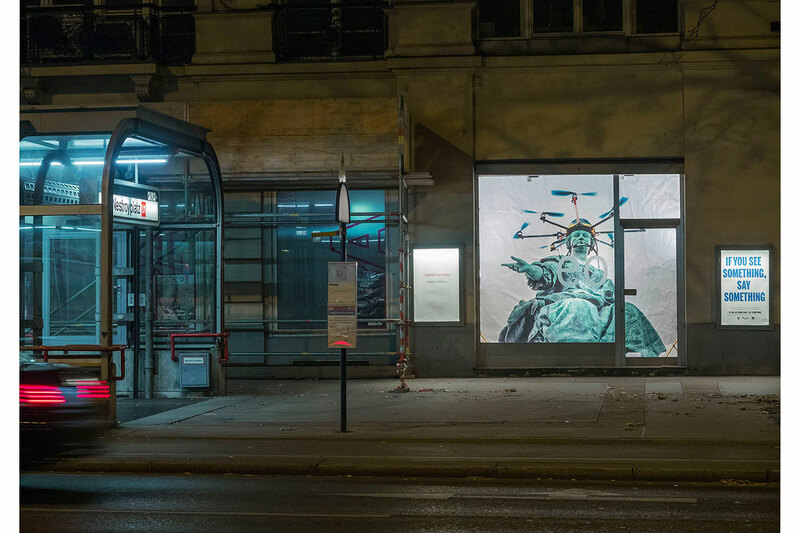 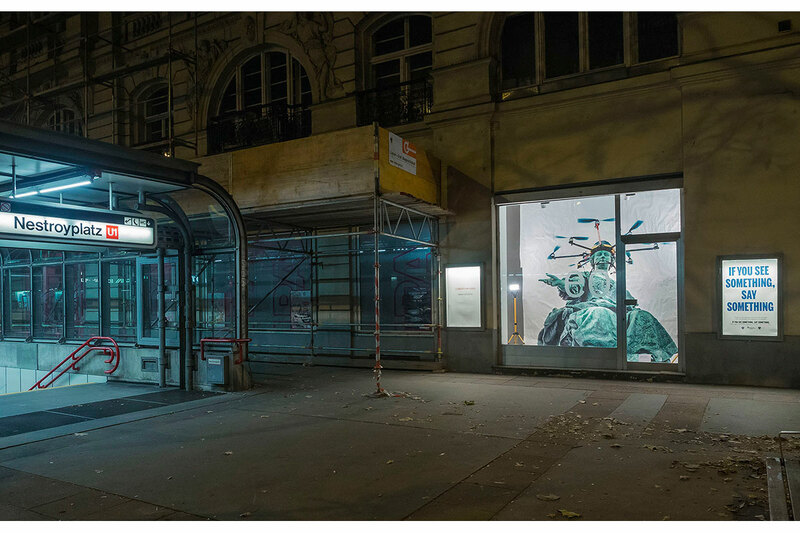 The collage installed in the Eichinger Offices showroom facing the street nevertheless puts this design in public space.